We believe in the grace of God. Grace is when God gives us gifts that we don’t deserve. Gifts like…salvation. God is absolutely perfect and he created a perfect world, but man sinfully rebelled against God and in so doing made a proper mess of things. To this day we are all affected by sin, from the world around us to our own identity, individual natures and the choices we make. But God, knowing that his creatures would rebel against him, had already chosen to save people – not based on anything good or bad in them, or anything they did or didn’t do, but simply because of His love. Because God is just, he had to administrate justice and punish sin. Because God is love, he desired to forgive repentant sinners. So the Father gave his Son in the person and work of Jesus Christ, who while we were still sinners died for us to satisfy God’s wrath and to reveal His perfect love in purchasing salvation for everyone who believes on Him. Our proud resistance to this grace is overcome by the Holy Spirit as we hear the good news about Jesus and its power is applied to our lives, drawing us away from our present quest for self-gratification, self-righteousness, and self-exaltation and leading us to trust in Christ as our Lord and Saviour. All who are truly saved by grace through faith in Christ alone are preserved in this new spiritual life by God and empowered to persevere in faithfulness as they continue to grow in the grace and knowledge of Jesus Christ. A recognition of God’s overflowing grace should produce humility and lives of selfless service: if we preach grace, we should also practice it. We are a Baptist church. Historic Baptist identity has been summarised in the words “faith”, “baptism”, “fellowship”, “freedom”, and “evangelism.” We seek to hold personal responsibility and divine sovereignty in balance and emphasise that salvation is received by grace through faith in Christ. Only upon a person’s profession of faith are they considered a suitable candidate for baptism – in other words, someone should not be baptised after they are born, but rather after they are “born again” (John 3:3), with repentance and faith, as a testimony to the gospel message of death, burial, and resurrection. Upon baptism, the new believer enters the fellowship of a local church and is welcomed to partake of the Lord’s Supper. No one should be forced in any way into belief, baptism, and church membership since these are voluntary responses to the inward-working of the Holy Spirit by the preaching of the Scriptures. This is religious liberty, or freedom of conscience. The weapons of our warfare are not of the flesh, but of the Spirit, therefore we call people to repentance and faith through evangelism, which simply put is telling people the gospel of Christ. 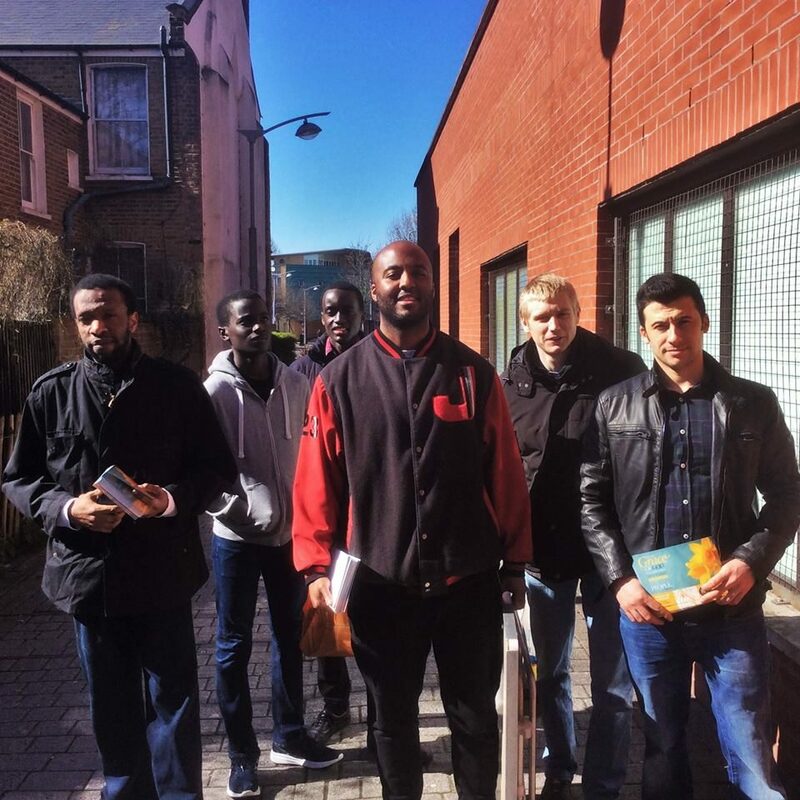 We meet together in Wood Green, North London, and are committed to proclaiming the saving good news of Jesus Christ to the people in our local area, whoever they are, wherever they are from, and whatever their background or current beliefs. We are equally committed to telling people about Jesus beyond our corner of London: we have been directly involved in planting or replanting nine churches (two of which have since merged) and in helping many other congregations in need of assistance. As a result of this wider ministry, Grace Baptist Partnership was born, through which we continue to train leaders, start new churches, strengthen existing churches, and reach nations, in fellowship with other like-minded congregations.